Are you ready to take part in this semester’s “Sports as a Way of Life” Fitness Challenge? The four-week event kicks off on Monday, November 12, and will run through Sunday, December 9. It will be held at the Dormitories Sports Hall and is open to all students. 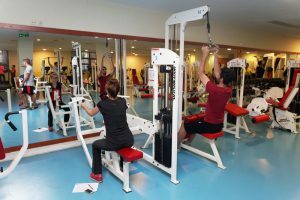 Participants are to work out at least two times and at most five times per week. Participants can do, at most, two different activities in one day, and will get 5 points for each activity each day that it is done. For more information, please call the Sports Center at ext. 1993 or email spor@bilkent.edu.tr.